​Diann Wilson Currently (2019) the President of Hawaii Writers Guild. A recovering executive and author of a business book, Diann now lives on a farm in Hawaii, and is writing a humorous account of her transition from mainland to island. When she's not harvesting mac nuts, grapefruit, avocados and pomelo, she enjoys swimming, yoga, paddleboarding, golf and kayaking. Diann and her husband, Steve Hoffmann, live in the quaint town of Hawi and share their home with Oscar, Sophie, Calico and Maia - a source of constant joy and frustration (and some good writing inspiration). She is co-author of The Other Blended Learning: A Classroom-Centered Approach. Watch for her upcoming children's picture book and entertaining memoir. Bruce has spent many years in a wide variety of business and technical roles, particularly in the areas of high performance materials, operations management, and large scale business systems. He is always passionate about his undertakings and that also applies to his eclectic writing. He has just published his first novel, The Fuel Saver Conspiracy, A Peter Jones Mystery. Prior published works were scientific papers and he branched out into other genres. Current projects include a sequel to his first novel, poetry, family history, science fiction, and technical mystery. Now retired, Bruce lives full time on the Big Island with his wife Debby and enjoys the freedom to write and to volunteer in support of the local community. Bruce has been a member of the Waimea Writers Support Group for several years. Diane Revell (Secretary of HWG in 2018 and 2019) Diane was well educated in California and Washington with a bachelor degree from UC Berkeley in Electrical Engineering & Computer Science and a master degree from Seattle University in Software Engineering. She worked for 35 years in aerospace software development and technical management before retiring and moving from Washington State with her husband to Hawi, Hawaii. She did technical writing as part of her employment and as a member of the Society of Women Engineers, but since moving to Hawi has mainly written poems and very short stories. She has had some items published as single contributions in newspapers, but is considering compiling her current poems into a book. ​Bob Lupo, born and raised in NYC, was weaned on baseball and spaghetti. Bleacher Heaven, his most recent novel, weaves a gripping tale of good cops chasing bad cops in the South Bronx as the nation gapes at the seemingly never-ending drama of the 7th Game of the 2016 World Series between the Yankees and the Mets. Bob attended St. John’s University for many years, served as a medic with the 4th Battalion, 9th Infantry ‘Manchus’ in Vietnam, and was a Wall Street Junk Bond Analyst for 30 years. He has written two other novels: A Buffalo’s Revenge—tracing a year in Nam; and Extremities-4—an adult morality tale on the perils of being human and animal. Bob lives with Linda, his wife, and Zinn, his Yellow Lab in Hakalau. Bob is currently the Treasurer of Hawaii Writers Guild. LOUISE RIOFRIO is educated in physics and astronomy at University of California and San Francisco State University. She worked as a scientist at NASA Johnson Space Center in Houston, studying the Moon. Louise performed experiments with priceless lunar samples from Apollo. She is known worldwide for predicting and measuring change in the THE SPEED OF LIGHT, the subject of her first book. Her latest book, DISCOVERY: ALASKA TO HAWAII AND THE PACIFIC, is about the exploration of our Islands. Louise uses astronomy, oral history, DNA and the paths of wildlife to tell the story of the first Hawaiians from over 2000 years ago. She spent Summers in Alaska helping to rescue bald eagles. Louise enjoys swimming, bicycling and exploring strange new worlds. ​Eila Algood Eila has been writing since childhood with many published works including: On The Road To Bliss, Rhapsody in Bohemia, pieces in Frida Magazine, Think Pink Anthology. Speaking her written words in public readings is a favorite experience as it gives her the opportunity to share her positive, playful personality. ​Jada Tan Rufo Jada is a former English as a Second Language teacher who spent fourteen years teaching in China, mainly in Jiangsu, Zhejiang, Guangdong, Hainan, and Shaanxi Provinces. Jada moderates TEFLChina for YahooGroups, one of the largest ESL support online sites. She stays informed about current events in China and is currently working on establishing a Chinese cultural center in Hawaii. She is the author of Banana Girl: An Asian American Woman’s Life in China and and has just published her second book, The Zone, a historical novel that takes place in 1937 Nanjing. Jada also has a blog that chronicles her re-entry life back in the USA as well as a Facebook fan page. For the latest information regarding book events, please visit Jada’s Facebook page and her​ blog. ​Duncan Dempster A freelance writer who, having spent the better part of a lifetime employing words as a matter of vocational expedience, has discovered late in life the joys and challenges of juggling language in a purely avocational mode. A retired career Naval officer, he is now fully retired and deeply immersed in living the good life on the Hamakua Coast of the Big Island. He is an avid believer in the power of words to evoke emotion as well as the power of emotion to inspire words. Thus he strives to use language as a tool to paint the landscapes of human relationships and feelings and to employ those feelings to flesh out and define the limits and boundaries of words. His first novel, Chapel on the Moor, was published in 2014. Duncan is currently the webmaster of Hawaii Writers Guild. ​John M. Holland Dr. John M. Holland ministered to church youth for two decades, directed a drug crisis center, directed the Sexuality Education Program at UCSF, taught sexuality courses to over 5,000 physicians and therapists, taught HIV prevention, sexuality and health education in rural counties to people in jails, schools and community agencies, and worked as a hospice chaplain. His degrees included a Masters in Religion from Phillips University, a Masters in Public Health from UC Berkeley, and a Ph.D. in Sexology from the Institute for the Advanced Study of Human Sexuality. He and his wife moved from California to rural Hawaii in 2007. John's recently published novel, entitled Yellow Bird, Walking Between Worlds, can be obtained in either paperback or Kindle format from Amazon. ​ Sadly for all whose lives he touched, John passed away in September, 2017. Remembered and revered by numerous friends and associates for his unique story-telling and writing abilities, he was instrumental over the years in encouraging and mentoring many writers in Hawaii. He was a regular member of the Tutu’s House Writers Support Group as well as an inspiration for the establishment of the Hawaii Writers Guild. We keep John in our collective heart as well as on our member roster so that we may not soon forget him. Donna Beumler Donna is the author of the legal thriller Criminal/Lawyer. Her credentials for writing such a novel include being a retired superior court judge, and a former prosecutor and criminal defense attorney. Plus, she has a very vivid imagination. Originally from the San Francisco Bay Area, she holds a bachelor’s degree in English from UC Berkeley and a law degree from McGeorge School of Law-University of the Pacific. Donna spent many years living and working in southeastern Arizona – in a community bordering the Republic of Mexico — before moving to the island of Hawaii. Melissa Burovac Melissa is a writer and photographer on the Big Island of Hawaii. An avid outdoorswoman, Burovac enjoys outrigger paddling—both one-man and six-man—SUP, running, surfing, sailing, and scuba diving. She is always up for adventure with her dog Lucy, and loves doing things that scare her a little. Melissa's first book Wandering was inspired by a 9-month solo round-the-world trip; it tells the humorous, non-fiction tales of getting lost in several countries. Melissa's second and third books, Sylvie Writes a Romance and Sylvie Falls in Love, are part of the Sylvie's Romance series; these romantic comedies were inspired when Melissa tried to write a romance novel and failed. Sylvie Falls in Love is the second of the series, taking place after a fictional romance novel is written, and Sylvie looks for love in her own life. Melissa is currently working on a fiction inspired by the true-life adventures of a sailor and smuggler on Kauai. ​Cecilia Johansen After the death of her husband Charles Kanewa in Los Angeles in 2003, Cecilia met his cousin a year later at a Hawaiʻi Marines Reunion in Las Vegas. She fell in love with the handsome virile cowboy and after four months, she took a leap of faith and moved to Hawaiʻi to marry Bernard Johansen and live in the lush up-country of Waimea on Hawaiʻi Island. They were only married for five years before his untimely death. Stories from the lives of the two cousins growing up in Kapaʻahu, Puna District, and extensive research have led to her first novel The Canoe Maker's Son. 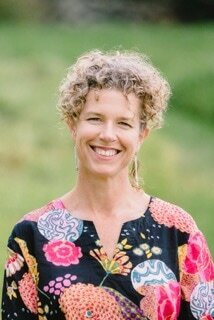 ​Cheryl Ann Farrell Cheryl Ann grew up in Colorado and lived in Los Angeles for 15 years before heading to Kauai. She has lived on Kauai for nearly 20 years teaching at the Community College as well as teaching online for other schools. She is also a Writing Tutor for Colorado State University-Global campus. Armed with a Bachelors in English and an MBA she became a copy writer for financial institutions in Los Angeles. She has dabbled in writing with short stories, poetry, humorous essays, and creating advertising copy. Photography is another creative avenue for Cheryl Ann. As she heads into retirement from teaching, she wants to combine both creative talents into a book. Being able to brainstorm with like-minded people and network within a writing community brought her to the Writers Guild. Steven S. Foster After I completed four years with the Air Force, in 1970, I yearned to be a writer. So, I worked as a welder at night, to support my family and continued my education. In 1976, I earned a BA degree in communications at Biola College. This led to a stint in a smoke-filled newspaper office. Then, I served as a writer at Campus Crusade and published numerous magazine articles. Later, I worked at a non-profit counseling agency and gave presentations in schools. Finally, I settled into a career in customer service where I fine-tuned the art of studying people and behavior. Now retired, I reside in upcountry Waimea, Hawaii with my wife, Sandi of 50 years. Recently, I wrote a novel, Spirit of an Eagle, that will soon be published. ​Bryan Furer Bryan is a film industry professional for over forty years. He wrote, acted, and directed homemade monster movies when he was a kid. After moving to the island of Hawaii, Bryan phased out of the daily grind of make-up and pursued his writing career. 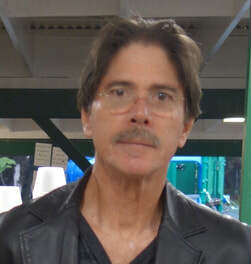 He was able to use the wealth of knowledge that he gained from the film industry in his writing and has written several scripts, some of which have been optioned. He has now written two books based on his screenplays and writes under his pen name Elias Blackthorne. Five Steps to Sheep and Passenger are both available on Amazon and in bookstores now. ​David Fouts Blank paper has always had an effect on me. I want to write on it. I was raised in Indiana never traveling further than 40 miles from home until I joined the army in 1969. I was trained as an infantry/combat medic but was ever so fortunate to be sent to the Korean DMZ. My wife Linda and I moved to Alaska where we spent 26 great years. My three children, Henry, Monica, Cara were happily raised in the North country. I worked on a salmon seiner two years, 12 years in the Bush living in isolated Yupik Eskimo villages. And 12 years on the coast in some real beautiful country. All the time I was feeding the writing bug with what little excess time I had. In 03 we moved to Hawaii. My wife died in 2011. ​Shirli Shook I moved to Hawaii in 1982 and have enjoyed working and exploring the island ever since. Having lived during the 60's in a commune in California and traveling as a private chef to South America in the 70's I have many memories to share. I always love to tell a good story. ​Amy Elizabeth Gordon Amy Elizabeth is a passionate communicator, weaving words in a poetic resonance of grit and grace. In a consistent fashion, her brave voice comes through in her poetry, prose and creative non-fiction. Watch for the upcoming publication of her teaching memoir. She is a resident of Hawai'i where she is active in the practices of hula, land stewardship, paddling, outdoor yoga, and olelo Hawai'i. This connection to a sense of place and natural great beauty helps to resource her mothering, coaching, and loving. She values the support of other writers, near and far. They remind her, though it has all been said before, it hasn’t been said in her voice. ​Linda Heath After growing up in small Ohio town, Linda earned a B.S. from Ohio State University, followed by a Ph.D. in Social Psychology from Northwestern University, then spent five freezing years teaching at the University of Minnesota. She spent the next 33 years teaching at Loyola University Chicago. Along the way she married and raised a son and a daughter, retiring in 2017 to move to Hawaii with her new husband, Bob Lupo. Linda published over 50 articles in journals and co-edited 5 volumes on Social Psychological Applications to Social Issues. Her research focused on reactions to crime and causes of criminal behavior. Her most recent research examined the role of social media in the Arab Spring uprising in Tunisia. Now she is turning to memoir and light-hearted fiction writing. Sabrina Ito Sabrina Ito lives in Honolulu, HI with her husband, Victor, and her son, Xander. An International Baccalaureate (IB) Middle School French and English teacher in Kailua, Oahu, Sabrina also enjoys writing, cooking, spending time with family, and is at her happiest in or near the ocean. A ‘sometimes poet’ for close to a decade now, Sabrina’s poems have appeared in many national publications, such as Bamboo Ridge, Clarion Magazine, Slipstream Press, Coachella Review and The Cossack Review. ​Mark Kelly Mark became hooked on science after Neil Armstrong took an epic stroll one Sunday morning in July 1969. He later served as a submarine officer based in Scotland and New England. He is a graduate of the U.S. Naval Academy, Bryant University, and Swinburne University. After leaving the Navy, he spent two decades teaching college physics and astronomy. Reading and writing mind-bending science fiction is his passion. His debut novel, ​​Mauna Kea Rising, was released in 2019. As a flight instructor, he has also published a column on flying among the Hawaiian Islands. ​Laura Burkhart Laura’s first book of poetry, Venus Rising (Hagios Press) was short-listed for two Saskatchewan Book Awards. A limited-edition hand bound poetry collection, Watermarks (Wild Sage Press), is now available in a second edition. Laura is currently completing a murder mystery set on O`ahu, and working on another poetry collection. Her background includes psychology, adult education and community, organizational and international development. She has worked in Canada, the US, Asia, South America and the Middle East. She holds an MFA in fiction and poetry from Vermont College. In 2004 Laura moved from Canada to North Kohala on the Big Island, where she works, writes, swims, and is a happy member of The Inkwells writers group. You can reach Laura here. ​Virginia Fortner Virginia Fortner, following an urge to express herself since she began to print, has published essays, poetry, fiction, and children’s stories, and one dissertation. Mostly retired, she met with Montana Writers after being part of Kansas City Writers for many years. Now she puts pen to paper with Hawi folks to write essays, articles, memoirs, poems, and fiction. She recently tried a 10-minute play. Virginia is presently co-writing a surfboard shaper’s adventurers, a German showgirl’s life, and a thriller set in Thailand. That leaves a little time for her memoirs revisiting “1949ers” as her family pulled a trailer house across 26 states. vfortner.wordpress.com describes more wanderlust as she taught ESL in China, Saudi Arabia, and Malaysia. Her novel, At the Edge, is at North Kohola Library, Barnes & Noble, and Amazon.com. ​Jim Gibbons From a beatnik hippie poet of the Sixties, to a high school teacher and newspaper columnist in the Eighties and Nineties, Jim Gibbons emerged in the 21st Century with enough flashbacks of the good old days for a book or two. 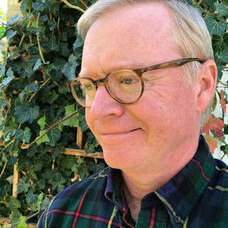 His most recent essays can be read in the Anderson Valley Advertiser out of Boonville, California (theava.com). Thanks to the HWG, he hopes to have his first book in 47 years out real soon. Matter of fact, Flashbacks: A Memoir was just published. See it here. T. J. Michaels USA Today and New York Times bestseller, T.J. Michaels, is also an award-winning author of several romance genres, including paranormal, fantasy, sci-fi and urban fantasy romance. CAROL MCMILLAN is compelled to write by her unrelenting and incorrigible muse. She has been published in academic journals, several anthologies, and is the author of one book, White Water, Red Walls. She is currently working on a memoir of her experiences during the 1960’s in the San Francisco Bay Area. ​Greer Woodward Greer writes science fiction and fantasy poetry. Her work is in Star*Line, Illumen, Scifaikuest, Lupine Lunes and Zen of the Dead. She holds a doctorate in Educational Theatre from New York University and was a member of the BMI Lehman Engel Musical Theatre Workshop. She wrote lyrics for Theatreworks/USA's Sherlock Holmes and the Red-Headed League and contributed to the Off-Broadway musical revues Pets! and That's Life!, an Outer Critics Circle Awards nominee for Best Off-Broadway Musical. Please see her comic poems "Demon Lovers" and "Crater Conundrum Pizza," 2015 SFPA Contest Dwarf Form Third Place winner. 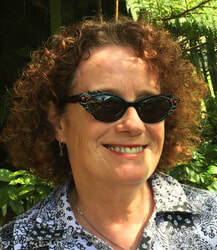 Greer is currently the Vice President of Hawaii Writers Guild. Click the photo for more about Pam. ​Pamela O'Shaughnessy. Pamela, a Mountain View, Hawaii writer, has published novels, short stories, and poems. Writing with her sister Mary under the name "Perri O'Shaughnessy", she has co-authored twelve legal thriller/mystery novels mostly chronicling the adventures of Nina Reilly, a storefront lawyer in Lake Tahoe, California. "Perri's" short stories, collected in the book "Sinister Shorts" were originally published in Ellery Queen Mystery Magazine. Pam has also published two books of poetry and a poetry anthology. She is currently attempting to write a novel about the Kilauea eruption. Pam had a previous career as a California lawyer. Her recent interests include mowing foot-high grass in the rain, eradicating waiwi, exterminating little fire ants, and returning to Volcanoes National Park asap. ​Tamara Hynd Born and raised in northern British Columbia, Canada, Tamara studied English at the University of Victoria and completed her Marketing and Sales Diploma with Scholarship from Langara College in 1995. Her sense of adventure and love of travel took her across the globe, providing fuel for her writing as she scribbled notes along the way. She began her journalism career in 2012 and has worked for the Nelson Star, The Free Press, Elk Valley Herald, and Coast Mountain News. Her story of two men surviving a grizzly bear attack in the East Kootenay town of Fernie was published in the Calgary Herald and Vancouver Sun, and many other media outlets. Tamara is currently working on her first novel and lives in the small North Kohala town of Kapa'au on the Big Island of Hawaii. You can contact Tamara at tamara.hynd@hotmail.com. ​Joy Fisher. In her 20s, Joy lucked into a job with the Las Vegas SUN. She loved journalism. But the Second Wave of the women’s movement swept her away and, in a delirium of idealism, she became a lawyer so she could change the world. She didn’t. Although she continued to practice law, the itch to write never left, and she scratched it wherever she could: writing poetry at the Women’s Writer’s Center in Cazenovia, New York for a year; in a writing group in Salzburg, Austria, as she struggled to learn the art of playwriting; and at the University of Victoria in British Columbia where she eventually got a BFA in Creative Writing, specializing in personal essays and playwriting. Now she’s found the Hawaii Writers Guild and feels like she’s finally home. Peter Georgas Peter Georgas grew up in Waseca, a small town in southern Minnesota where his father owned the Crystal Café and Candy Kitchen. He earned a BA in Journalism from the University of Minnesota. After graduating, he went on active duty for two years as an enlisted man aboard a destroyer, the Floyd B. Parks. His experiences during the Korean War served as inspiration for his first published book, Dark Blues, the story of a young destroyer sailor during the Korean war. Following a decade in advertising, he joined the staff of Walker Art Center in Minneapolis as the museum’s first full time publicist. Later, along with his family, he moved to Austria, where he was Director of the Salzburg Seminar. He and his wife now live in the Linden Hills neighborhood of Minneapolis. Amara Cudney Amara Cudney has had a varied and exciting life. She’s always loved to write and first became a self-published author in high school where she created her school’s first literary magazine; The Mustard Seed. Then children, husband and life happened and it wasn’t until her later years that she reclaimed her gift as a writer when she attended some workshops presented by Southwest Writers. She went on to win several awards for her poetry and is still a member today. After moving to Hawaii, she wrote her first book and since then has published several others that are now available on Amazon. She is currently working on a YA novel where her background in herbalism, healing work and metaphysics is culminated. She lives in Waikoloa, Hawaii with her husband and several other sentient beings. Amara has a deep love of nature and children and is passionate about literacy, language, and social justice. ​Sam Cudney I am a retired scientist with a laptop and too much time on my hands. I moved to Hawai’i about 6 years ago with my wife (also a writer), two dogs, a cat, and a desire to never be cold again. Moving with pets was so traumatic that I started writing about it and surprise! It turned into a book. And another. And another. Generally creative non-fiction so far, but I’m working on some actual fiction. Someplace in there I learned about Kindle, CreateSpace, and got really good with InDesign, so I’ve been doing design and layout for other authors, too, which gives me a chance to read things I might otherwise miss. ​Rachel Grenier Rachel has been writing her entire life. Since she could hold a pencil, she has been penning short stories and little books. She grew up in her family’s bookshop, surrounded and inspired by thousands of authors and the words they had the courage to put to paper. As a journalism student with a creative writing minor, Rachel’s college career continued to focus like a spotlight on the written word. For the past 18 years, she has made a living as a copywriter and marketing consultant, using her writing talents to help other people tell their stories. But the whispers of her own stories continued to beckon her, ever stronger. Finally brave enough to answer their call, Rachel now looks forward to returning to the pure joy of writing she knew as a child. Nancy Baenziger Nancy's interests in science and creative arts offer hidden short stories and poetry plus visible 50+ bioscience research publications, from her Ph.D. thesis through now-retiree neuroscience faculty output at Washington University in St. Louis, which institution seeks to obliterate any evidence she was ever there. Living at Mauna Lani, Nancy is a health care policy journalist presenting biomedical concepts in terms understandable to a broad audience, explaining health care controversies, and offering practical solutions. Nancy's recent publications include pain (mis)management, the Big Island Dengue outbreak, and women’s breast health controversy. Several essays/op-ed pieces are still in her in-brain incubation period. She’s read her poetry at Living Arts Gallery in Hawi and is now compiling a book. Additional pending books include several murder mystery novels. These channeled Writings are shared from a place of love. through a long lineage of hands healers. and to rediscover what my true purpose is in this lifetime. That purpose is to love myself and others more today then I did yesterday. ​create and allow space for these writings to flow through effortlessly. I have been sharing this form of writing for over 30 years. The writings are shared with the intention to inspire a stronger heart connection. Love is who we are, Life is what we do with it. Lauren Ruotolo Lauren makes sense of the world through writing and visuals, capturing influential moments through a combination of poetry and photography. Her written word is mostly a recollection of her abstract and ever-changing perception. Self-taught, her flow of conscious literature is untamed, vulnerable, and notably seeking balance within the infinite ebbs and flows of life. In her professional life, Lauren writes grants which makes the lawlessness of creative writing so seductive and nourishing. An extroverted introvert, Lauren recharges through written word and coastal hikes with her dog, Fern. She is an environmentalist, a heavy coffee drinker, and an enthusiast of 60s-70s rock music. Linda Petrucelli For most of her adult life, Linda Petrucelli has lived on islands—Taiwan, Manhattan and Hawaii. Her story, “Figure Eight on the Waves,” won first place in the WOW! Women on Writing Fall ’18 Flash Fiction Contest. Read an interview about her story here. Her poetry and fiction appear in the Spring 2019 issue of KYSO Flash. Another flash, “Should You Chance Upon An Ahinahina in Bloom” is scheduled to appear in Flash Fiction Magazine. Linda writes from her home in Hawi on the Big Island. She posts her flash fiction at jackrabbitfiction.com. Tessa Rice. Hi, I'm Tessa Rice. I'm in my thirties (34) and I have Asperger's Syndrome. I'm currently working at the Kailua-Kona Safeway store. I was born and raised in Hawaii, still there, never lived anywhere else. I graduated from West Hawaii Community College, have attended several writer's groups and workshops in Kona. I have never been published, but I look forward to meeting people who will help me get my books out in the world. I enjoy writing science fiction novels, mostly dystopian and superhero, and I have a trilogy called Eternus currently in the works. Heather Rivera Heather S. Friedman Rivera, RN, JD, PhD obtained her Ph.D. in Parapsychic Science in 2011, her Doctorate in Law in 2002 and is a Certified Clinical Hypnotherapist specializing in Past-life Regression. Heather is also a retired Registered Nurse. She is the author of eight books and counting, contributing author in seven books, and author of numerous articles. Heather writes non-fiction, fiction, and books for young readers. She serves as an editor for the International Journal of Regression Therapy. She holds a creative writing specialization certificate from Wesleyan University. Heather has been featured in print, radio, and web television. Heather holds workshops on writing and past life regression. She lives in Hawaii with her husband, a puggle, and a bratty cat. Her superpower is bionic hearing. See her website here. Mahealani Wendt Mahealani was born and raised in rural Lawai on the island of Kaua`i and currently resides in Wailuanui, East Maui. She is a long-time political activist and retired as Executive Director of the Native Hawaiian Legal Corporation, a public interest lawfirm, after 32 years of service. She has published poetry and short stories in many literary magazines and anthologies, including UCLA Indigenous Peoples' Journal of Law, Culture & Resistance; Mānoa; Literary Arts Hawai`i; Bamboo Ridge; in several volumes of`Ōiwi: A Native Hawaiian Journal; Kaimana; Hawai`i Review; O`ahu Review; Many Mountains Moving; and Aotearoa-based Whetu Moana, edited by Robert Sullivan and Albert Wendt. Her book of poetry “Uluhaimalama,” was published by Kuleana `Oiwi Press in 2007. Over the past thirty years, Mahealani has been guest instructor at many high school and college classrooms and was a regular featured speaker at an annual Hawai`i "Poetry in the Schools" event. Since retiring and moving to Maui, she has continued to write and publish poetry and short stories.